We made these fun Love Pizza’s out of pita bread a couple weeks ago and we loved how they turned out! There are so many ways you could decorate these. They were the perfect size for my 5 and 8 year old! 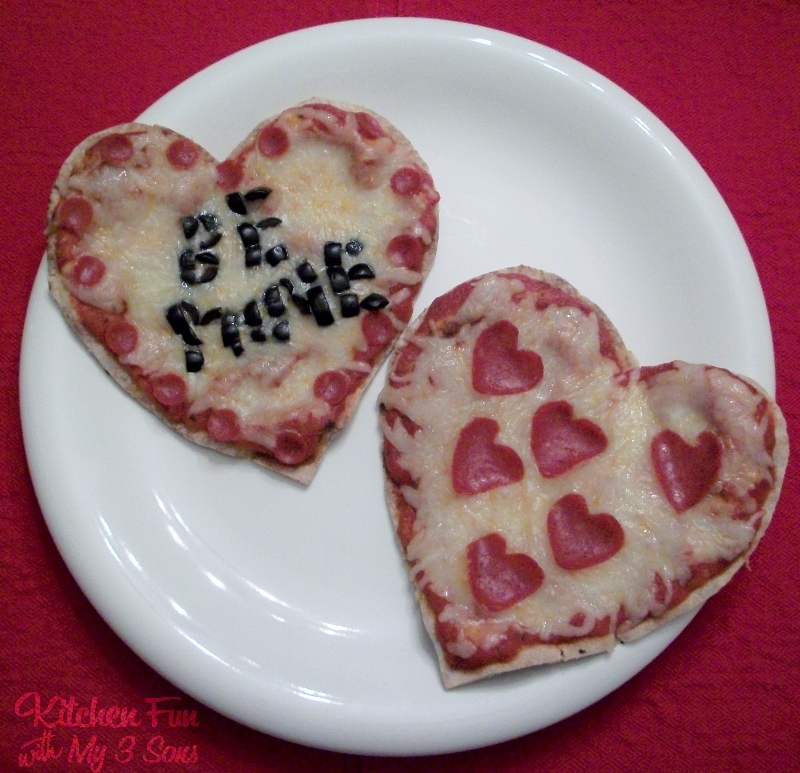 These would be fun for the kids to decorate on their own or surprise them with a special message on a pizza heart for a Valentine’s dinner! We used whole wheat pitas, marinara sauce, mozzerella cheese, turkey pepperoni, and sliced black olives. We cut a heart shape from the pita bread with kitchen scissors. Spread the marinara sauce (or pizza sauce) on top. Sprinkle with mozzerella cheese. We cut heart shapes out of our turkey pepperoni on one. You could also cut out hearts from a red bell pepper. We cut out small circles from the pepperoni with a cookie cutter that we have for the other one and wrote BE MINE with the sliced black olives. You could also write something with the shredded cheese, green peppers, or sausage. Just be creative and use what you have! Bake at 350 for about 10 minutes or until cheese is melted. 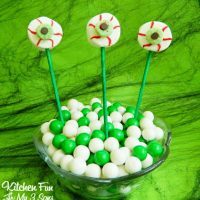 This is so easy and the kids will love it! « Previous PostTouchdown Football Pops! Next Post » May The DINNER COURSE Be With You! 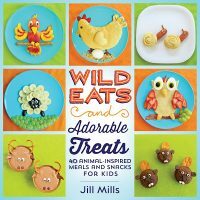 Wild Eats & Adorable Treats…my 1st Cookbook!! Cute idea! We eat pita bread pizzas often but I hadn't thought of this! Fun! Oh my!! I love this one too!! My kids will enjoy it for sure!! By the way, I am sharing all this posts at my blog, thanks!! 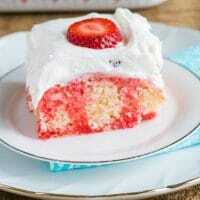 I'm not that crafty with food, but this I could easily do. A great idea! These are so cute! I would love it if you would share them at my sharing party at http://craftymomsshare.blogspot.com/2012/01/sharing-saturday-2.html. Thank you! My boys are going to LOVE these. I just added pita and pepperoni to my grocery shopping list for the week. Thanks for the idea!